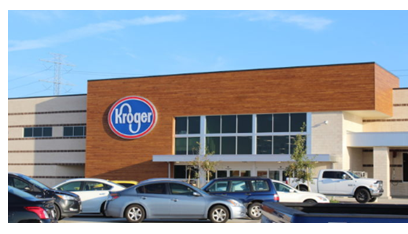 ​SPRING – ​Kroger opened in Springwoods Village at 2150 Spring Stuebner Rd. The 100,000-sf grocery store features 50 shopping aisles, more than 20 checkout points, a floral department, a pharmacy and a Starbucks coffee shop. The store has a selection of organic produce, over 100 varieties of bulk foods, a deli and a bakery. Customers have the option to shop online and pick up their orders at the store. ​Chec​k out more retail stories across Texas.